Everyone please search for alternative routes this morning we have a train derailment at Porter and Willard Ave., Michigan Avenue and Kalamazoo Ave are both blocked due to the development. Avoid the area. If you're planning to hit the road this Thanksgiving, be ready for some extra traffic. According to AAA Michigan, more than 1.6 million of the state's residents will travel 50 miles or more for a turkey dinner. AAA says that's a 3.5% increase from last year. It's also the most travelers since 2007. Along with more traffic, drivers can also expect to see a bigger police presence throughout the state. Stateside's conversation with Lieutenant Junior Grade Sean Murphy of the United States Coast Guard. 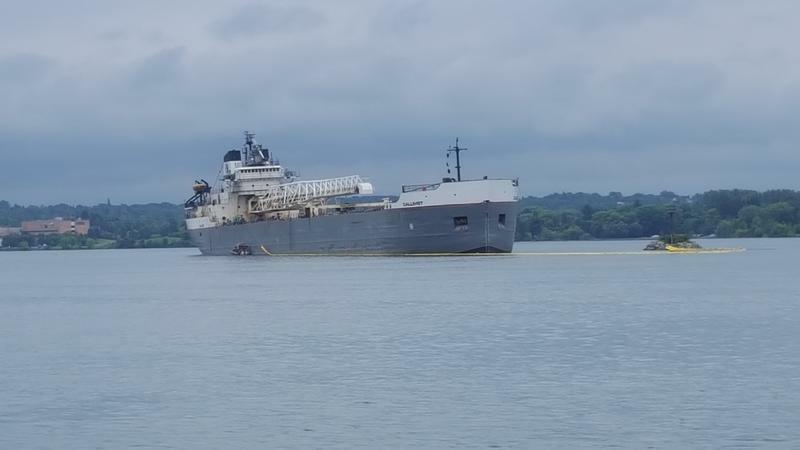 A merchant freighter ran aground downstream from the Soo Locks of the St. Mary's River on Wednesday, Aug. 9 around 11:40 p.m. Lieutenant Junior Grade Sean Murphy of the United States Coast Guard, Sector Sault Ste. Marie, joined Stateside today to explain the situation as it stands now. 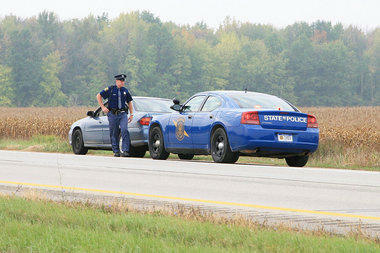 Westbound I-96 has reopened following yesterday's fatal crash. The Livingston County Sheriff's Office now says 53 vehicles are believed to have been involved in the incident which left three people dead. Two of the victims have been identified as Homer Leon Tew, 69, and Theresa O'Connor Tew, 62, of Ann Arbor. The third victim was a 28-year-old man believed to be from Hollywood, Florida. Authorities are still trying to notify his family and have not yet released his name. Automakers spend a lot of time and money touting the safety features of their vehicles, all of which have dramatically improved safety for drivers and passengers. But despite greater and more advanced safety measures, the National Safety Council tells us America is on track to have its highest traffic death toll since 2007, when over 41,000 people died on our country’s roads. As we move through the early 21st century, technology continues to grow by leaps and bounds. That got Stateside producer Mike Blank to wonder: Just when does formerly cutting edge technology become obsolete? Unless you’ve been blessed enough to never have had to ride in or drive a car, you know the sound of the tried and true blinker. Labor Day weekend is at hand, and as gas prices slide back down many of us are prepping to get on the road. AAA Michigan expects 1.2 million of us to be driving somewhere this holiday weekend, the most since 2008. The Michigan State Police have been tracking road accidents and deaths for some 40 years, and the numbers say that Labor Day is our deadliest holiday. An average of 20 people die in traffic over the three-day weekend. People who live in Europe know what to do when they’re driving along and come to a roundabout. They've been a fixture in road design there for many years. 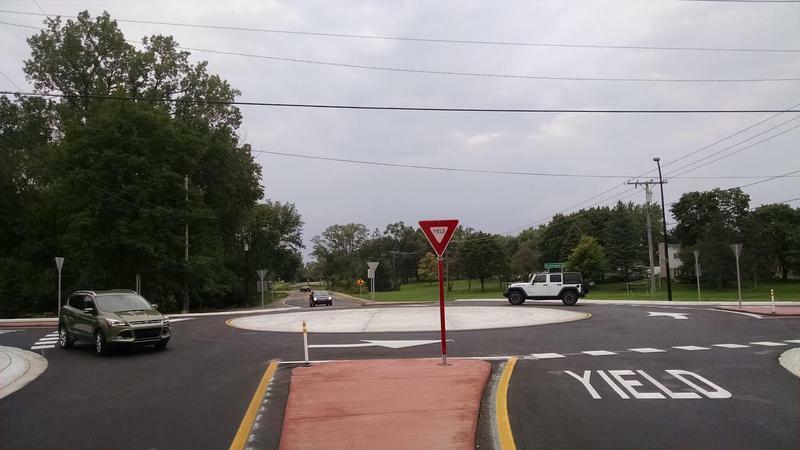 Michigan drivers are starting to get more familiar with roundabouts. And now, there’s a new kind to get used to: the urban roundabout. We talk with Michigan State Police Lt. Michael Shaw about the legality of driving in the left lane. We’ve all seen them: cars cruising happily down the highway in the left lane, drivers unaware or uncaring that they are actually breaking the law. Far fewer people died in traffic accidents over the Thanksgiving holiday period than last year. 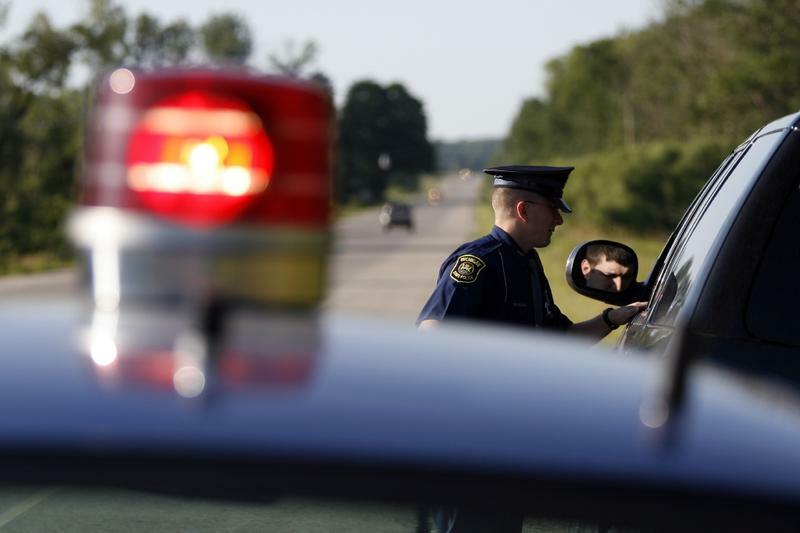 A federal grant put dozens of extra Michigan State Police troopers on the highways between the Wednesday before Thanksgiving and the Sunday after. 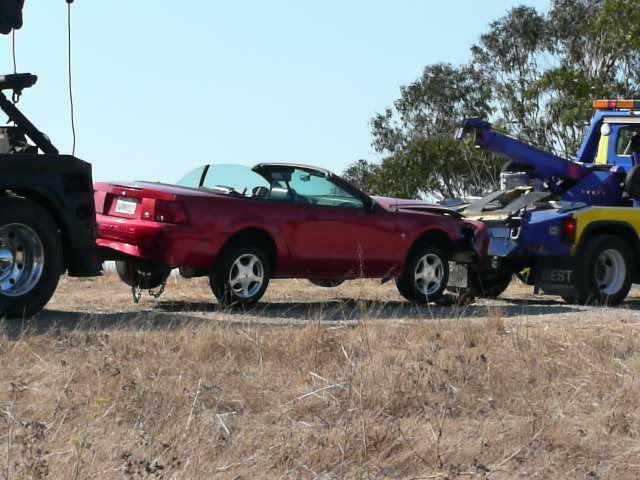 It’s the kind of service few of us look forward to having the need for – towing services. And while many are reputable operators, some are known as "wreck chasers" – trolling for business from customers who are stranded in vehicles or at the scene of a car accident. A new law in Michigan will prohibit tow truck operators from harassing drivers. Legislation signed by Gov. Rick Snyder on Thursday will fine tow truck drivers who use aggressive or unethical practices to solicit motorists $1,000. 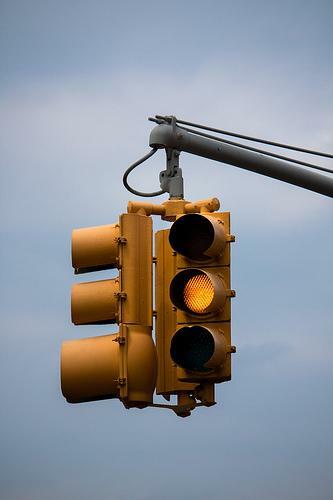 It's hard to imagine driving without the guidance of the tri-color traffic light, isn't it? Turns out, that tri-color light that keeps us from crashing into each other at intersections was the brainchild of a Detroit police officer. Matt Anderson is curator of transportation at The Henry Ford museum complex. Anderson says there had generally been two lights – one telling us to stop and the other telling us to go. But William Potts, a Detroit police officer, found a way to make the lights safer. “It was Potts’ inspiration to put in the third light, sort of amber caution, letting you know the signal change is imminent, so that you can prepare to slow down,” says Anderson. Today, there are more than 3oo,000 intersections with traffic signals throughout the U.S.
And where was the first four-way traffic signal tower installed in the world? It was at a corner of Woodward Avenue here in Detroit, says Anderson. * Listen to the full interview with Matt Anderson above. Everybody has their own philosophy when it comes to merging in construction zones. Conventional wisdom on the roads seems to be that when faced with an approaching merge, you should just get over as soon as you can and just wait for your turn like a good little driver. The people whizzing by in the open lane are looked down upon - morally corrupt drivers making a BAD decision refusing to get in line and wait for their turn. The number of motorcyclists who died in traffic accidents in Michigan last year rose 18-percent. About a year ago Michigan became the thirty-first state to allow people to ride motorcycles without helmets. 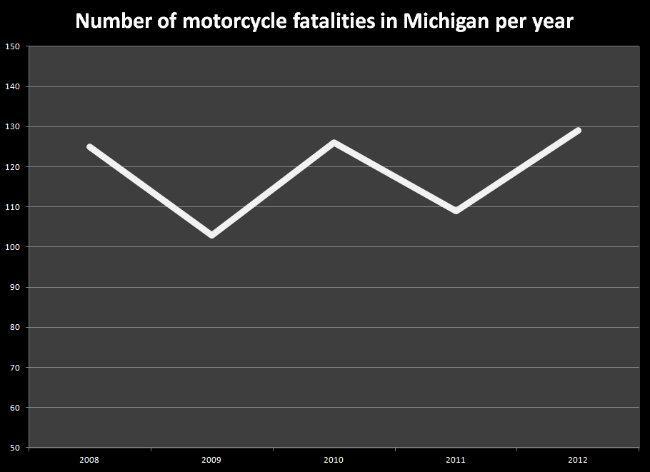 But Michigan State Police warn one year isn't enough time to say whether the changes to the helmet law had anything to do with this year’s spike in motorcycle deaths. A new report shows commuters are spending a lot of time behind the wheel in two Michigan cities. The Texas A & M Transportation Institute releases an annual report on traffic congestion around the country. Many Detroit commuters will probably agree with the findings in this year’s Urban Mobility reports. 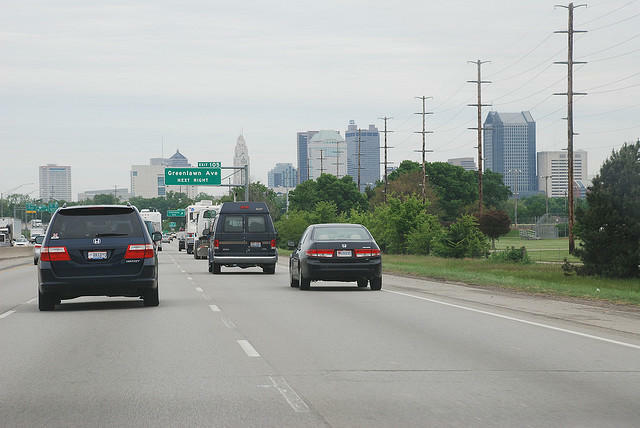 Report co-author Bill Eisele says Motown motorists spend a lot of time each year not moving. All states should ban drivers from using hand-held cell phones, according to a new recommendation by the Governors Highway Safety Association. 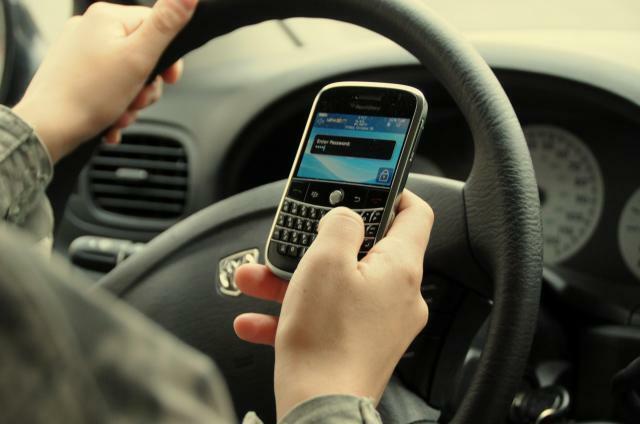 Only 10 states ban the use of handheld cell phones while driving. Michigan is not one of them. 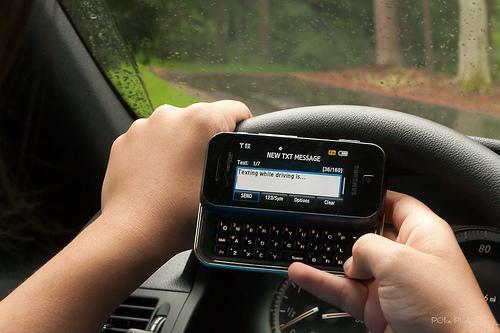 But it does have laws against sending a text while driving. Jonathan Adkins, with the Governors Highway Safety Association, says the texting laws aren't doing as much good as they should. "States are having some difficulty enforcing texting bans, if you have a texting only ban, it's very easy for a driver to say, oh, I was dialing my phone, I'm allowed to do that, I'm allowed to be on my phone, I'm just not allowed to text on it," says Adkins. Adkins says banning the use of handheld cell phones altogether would solve that problem. The safety group is also calling for tougher laws against driving while on drugs. Both directions of U.S. 127 traffic near Mason will be closed for the rest of today after a semi crash. The Lansing State Journal reports the highway was first closed early this morning after a northbound semi carrying 10,300 gallons of a liquid asphalt overturned, spilling its load just south of Kipp Road. Traffic deaths in Michigan fell by 5 percent last year, according to the Michigan Office of Highway Safety Planning. Nationally, road deaths fell by almost 2-percent during 2011. Communications manager for the Office of Highway Safety Planning Anne Readette said a decline in drunk driving and high seat belt use helped the situation. "Just a few years ago, Michigan had a 98 percent [seat] belt use rate... and we know that certainly has played a significant role in what we're seeing in traffic deaths," said Readette. Readett said her office focuses on communicating their latest safety messages to young men - the drivers most likely to drink and drive and to not wear seat belts. Commercial motor vehicle-involved fatalities fell 23 percent, from 95 in 2010 to 73 in 2011. Motorcyclist fatalities dropped 13 percent, from 125 in 2010 to 109 in 2011. Bicyclist fatalities were down 17 percent, from 29 in 2010 to 24 in 2011. Pedestrian fatalities increased 6 percent, from 131 in 2010 to 140 in 2011. 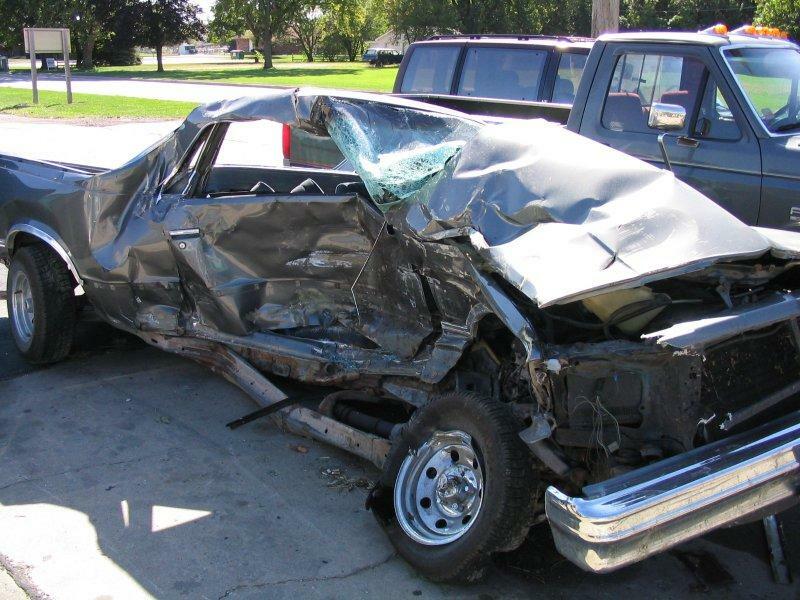 The number of car-deer crashes declined 4 percent, from 55,867 in 2010 to 53,592 in 2011. General Motors is recalling more than 6,000 big vans and SUVs because their steering can fail. The recall affects certain 2012 Chevrolet Express and GMC Savana vans, and Chevrolet Suburban and GMC Yukon XL SUVs. The National Highway Traffic Safety Administration said on its website Saturday that a gear shaft can break, causing a loss of steering. GM says no crashes or injuries have been reported. Organizers of a new campaign want to educate people about the dangers of distracted driving. The project is called "Remembering Ally: Distracted Driving Awareness Campaign." It was named in honor of Ally Zimmerman. She was sixteen when she was killed by a distracted driver. 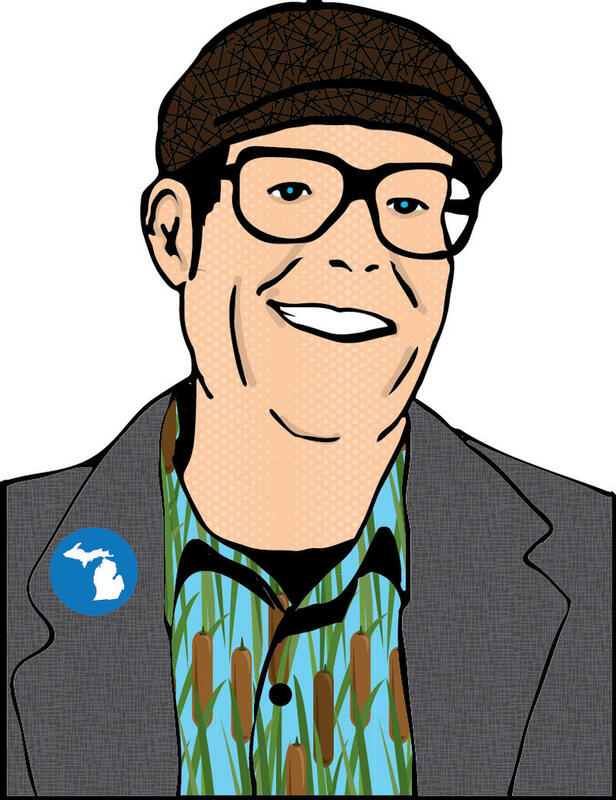 Jim Santilli is executive director of the Traffic Improvement Association of Michigan. He says one simple mistake made by a distracted driver can change the lives of many people. On Tuesday TIA will hold a conference at Zimmerman’s former high school in Romeo. The speakers will include members of her family as well as government and safety officials. A new, graphic video that details what happens in a car crash will also be shown. The campaign is geared toward teens and young adults, but Santilli says older adults are also guilty of distracted driving. 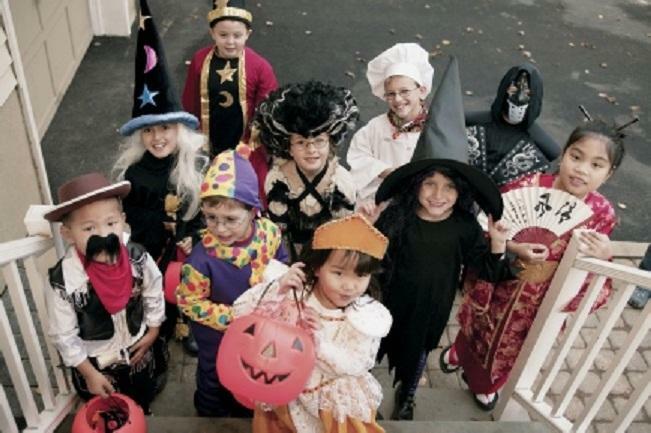 Twice as many children die in car-pedestrian accidents on Halloween than on an average day the rest of the year. That’s according to the University of Michigan C.S. Mott Children’s Hospital. Michelle Macy is a clinical lecturer of emergency medicine at the U-M Medical School. She says adults should be more cautious than usual when taking young children trick or treating in busy neighborhoods. "While they’re in elementary school, kids don’t have the ability to judge the distance that a car is or the speed that it’s approaching at…they need to be told to wait and stop and let the cars go past before they try to run out ahead of it," said Macy. Macy urges parents to make sure their children dress in costumes that don’t restrict their vision this Halloween. Fewest traffic fatalities in Michigan since the 1940s. While doing some research for a story, I went back over some data issued by the Michigan State Police Criminal Justice Information last May. It might not be surprising that the number of traffic crashes is lowest during years of a down economy. After all, there’s less commercial traffic and there are fewer people driving to work because so many are unemployed. Traffic deaths rise in Michigan. Is the economy to blame? 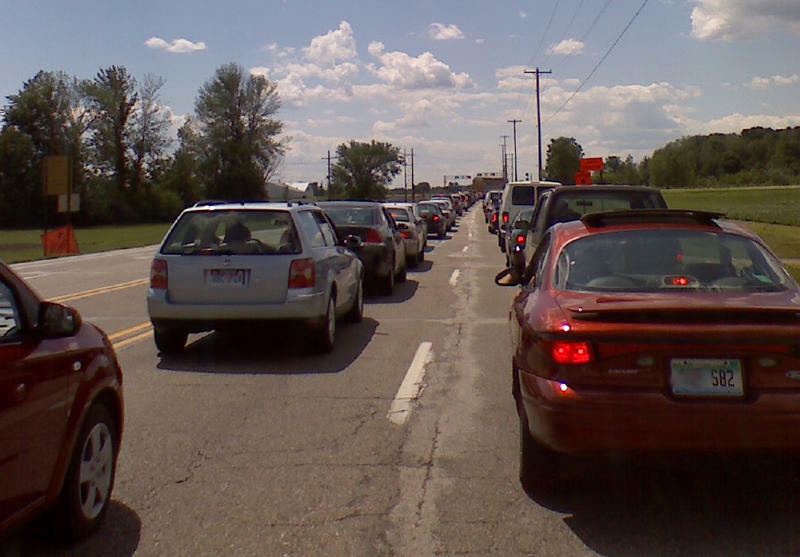 Michigan saw an increase in the number of traffic deaths in 2010. It was the first increase in 7 years. 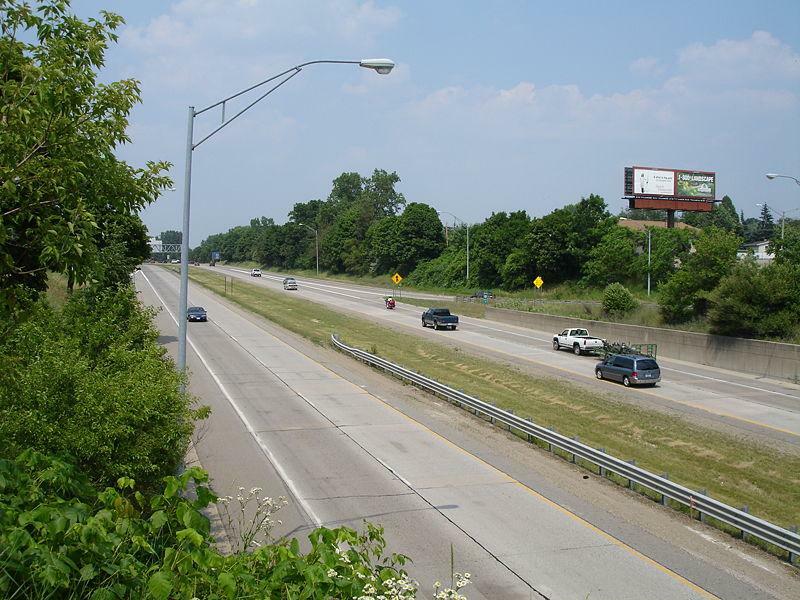 According to a new report, 936 people died on Michigan roads last year. That’s an 8% increase over 2009. Traffic fatalities have been declining in Michigan since the early 2000’s when more than a thousand people were dying each year in car crashes. 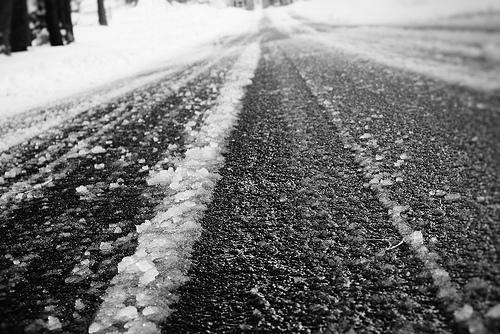 Freezing rain has closed portions of some southeast Michigan freeways and made driving conditions dangerous for commuters. ...portions of Interstate 94, Interstate 75 and the Lodge Freeway (M-10) were closed early Friday morning in Detroit, while portions of the Southfield Freeway (M-39) in Dearborn and Interstate 96 in Howell also have been shut down... Several accidents have been reported. The National Weather Service in White Lake Township says freezing rain is expected to change to rain by noon. High temperatures in the low 40s are expected. The Michigan State Police has confirmed to Michigan Radio that as of 6:57 a.m. parts of Northbound 23 were closed as were parts of Northbound I-475.